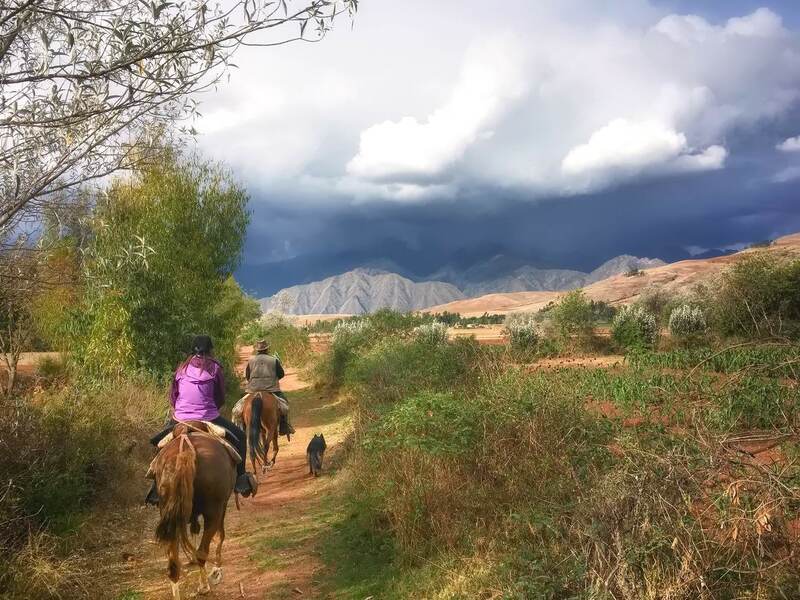 1DAY MANTHANAY FOREST RESERVE AND LAKE - "HACIENDA DEL CHALAN" Horseback Riding - Tour Operator - Cusco, PERU. Peruvian Paso Horse. 09:00 We begin our ride at “Hacienda del Chalán” and cross the Vilcanota river over a traditional suspended bridge. 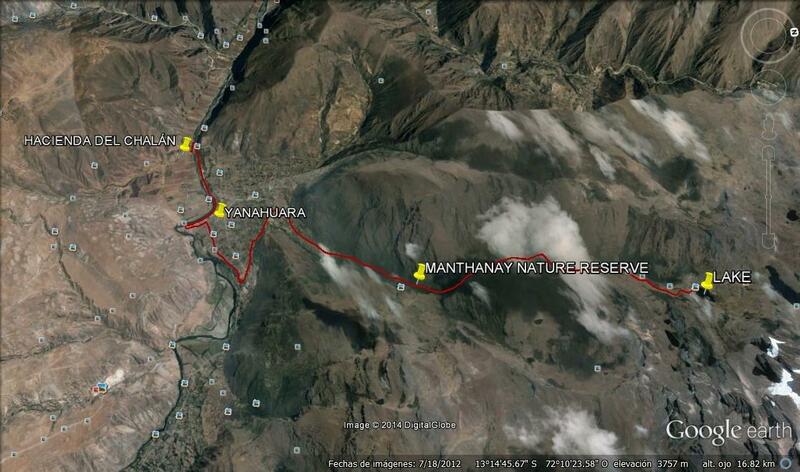 The next part of the path runs along the side of the river and crosses through areas of native forest, the village of Yanahuara, and up to the Nature Reserve of Manthanay, the “Qeuña” forest area, which is located in the middle of high mountains. After arriving at an Andean house, we dismount and start walking up to the lake. It takes about 20 minutes to reach the shore of one of the best Andean lakes that lies not far from the snow covered mountains. 12:30 Lunch at the shore of the lake. 13:30 Visit of the area surrounding the lake and walk back to the area where our horses are waiting for us. 14:00 Return to the valley. 17:00 Arrival at Hacienda del Chalán.